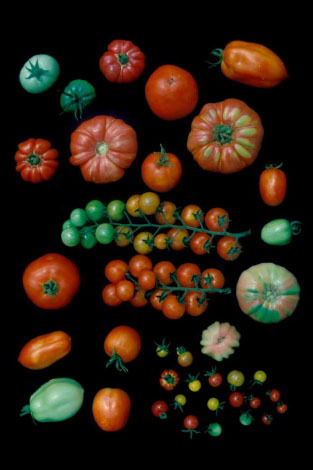 The journal Nature has published the results of this study that describes the main characteristics of the genome of the cultivated tomato (Solanum lycopersicum) compared with two species of the same genus, the wild tomato (Solanum pimpinellifolium) and the potato (Solanum tuberosum). With this comparison the researchers observed that evolutionary changes in the genome such as the repetition of some fragments have contributed to the diversification and the emergence of new species of fruits. These genomic reorganisations have also caused important changes in tomatoes as the development of a more resistant skin to better preserve the fruit. The information gathered from this study will serve to have greater understanding of the biology of the tomato and will offer new tools to improve the cultivation of this plant. The Tomato Genome Consortium is an international consortium that includes European research groups in the UK, Belgium, Germany, Italy, Netherlands and Spain, along with other international groups in China, Japan, Korea, Taiwan, India, Argentina and the United States. Besides CNAG, other Spanish research centers that have participated in this study are: the Centre for Genomic Regulation (CRG), Institute of Molecular and Cellular Biology of Plants, UPV-CSIC, the “La Mayora” Subtropical and Mediterranean Horticulture Institute UMA-CSIC, the Barcelona Supercomputing Centre, the Institute for Biomedical Research (IRB) and the company Sistemas Genómicos Systems in the Technology Park of Valencia.